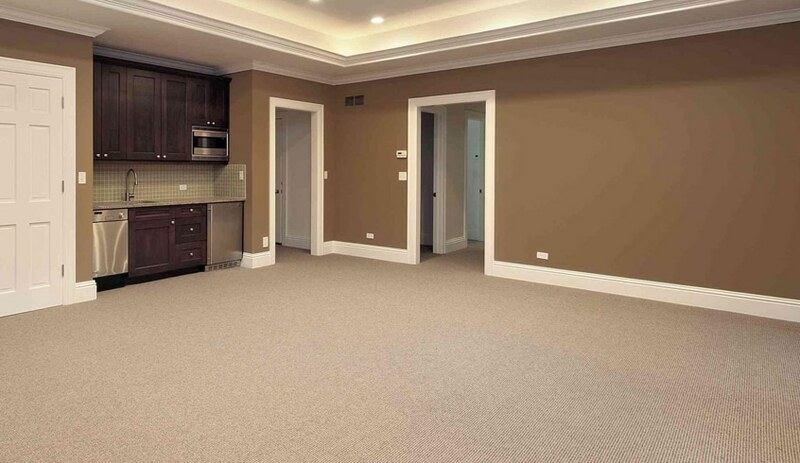 Keller Waterproofing offers interior and exterior basement waterproofing solutions in the greater Atlanta area that will turn your basement into a usable dry space that increases the value of your home. Since the work was completed we have had several heavy rains that previously would have caused a wet basement but since the work has been completed my basement is bone dry. 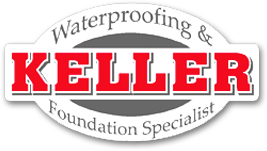 I would highly recommend Keller Waterproofing & Foundations to anybody who needs to have work done. Why Keller is the Most Trusted Name for Basement Waterproofing in Atlanta? We offer a number of exterior waterproofing systems in the Atlanta, Marietta, Decatur, Smyrna, and Sandy Springs areas. These systems will prevent water from entering your home and keep your basement dry. Most of these systems work by collecting water at the footing of the outside wall and directing it away from your foundation walls. Our interior waterproofing systems are designed to capture any water that makes it into your basement. This water is collected and sent along a system of drains to a sump pump. 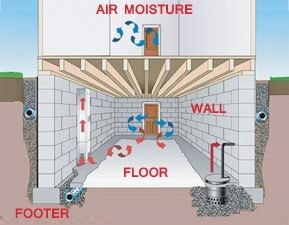 Once there, the water is safely pumped out of your home and away from the walls. 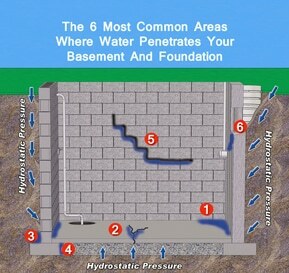 Learn How Water Penetrates Your Basement? What Causes Water To Enter Through These Areas? Both types of systems come with a transferable lifetime warranty, so that you can have peace of mind and added value in your home. Keller Basement Waterproofing & Foundation is Georgia’s number 1 choice. Our waterproofing is 100% effective and it is guaranteed for the life of your home with a fully transferable warranty. Rest assured knowing that your job will be handled by professionals with thousands of satisfied customers behind them. You can finally go on that two week long vacation without dreading the rainy season. You can sleep through the rainstorm: no more putting out towels or using the shop vac to prevent the basement from flooding. We also provide services to help control the water outside of your home with grading and drainage improvements or repair foundation cracks that may be causing the leaks. 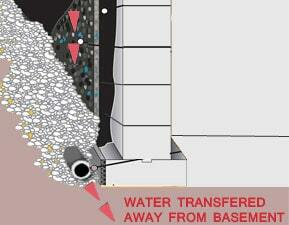 Spot Any of the Warning Signs of Basement Water Damage? Everyone at one point or another has entered a musty basement. The musty odor is due to the decay process from mold, mildew and dry rot. Mold in a basement is a sign of moisture – mold can only live in areas that have more than 50% humidity, which likely means that you have a leak. An unpainted block wall will turn dark gray when wet while poured or painted walls will show discoloration. When you see white or dark outlines surrounding the discolored area it usually means it has either leaked before, or substantial moisture has come in through that area. 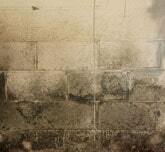 Mold and mildew are living, breathing organisms which grow and multiply anywhere there is excessive moisture. For those of us exploring our basement, mold and mildew can grow in the walls, carpeting, furniture, or anywhere else it can find a food source. This can appear as a brownish-black fungus growth on walls, clothing and other surfaces; it typically grows on wood surfaces. Keep in mind that dry rot is a byproduct of the decay process. 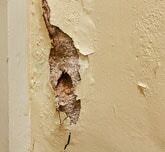 You’ll need to not only replace whatever is damaged, but also find and cure the cause of the dry rot. There are a variety of types of cracks you may find in your basement walls and floors. 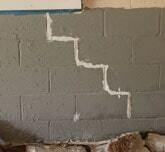 You may see step-cracks on the wall, vertical cracks or horizontal cracks. Cracks like these are usually caused by settling, pressure on the walls or under the floor, or something else. Wood is porous. It absorbs moisture. Warped paneling is a sign that excessive moisture exists, and you need to find out why. The good news: if you find the source, you can make sure that your new paneling won’t warp. The bad news: you can’t repair warped wood paneling. You have to replace it. Concrete is made up of limestone, clay, mortar and aggregate (stone). The white outline or spot you see is the calcium in the block leeching out. It is an indication of water, excessive moisture, and is something you should pay attention to. It is called efflorescence. Please fill out the form below and one of our basement waterproofing experts will contact you within one business day to discuss how we can help you. Serving the Greater Atlanta Area Since 1972.